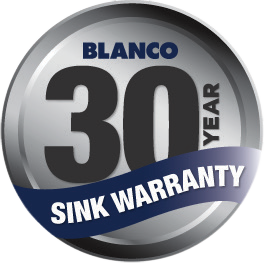 The Blanco 22L Single Bowl & Drainer Inset Sink BTIPO45SRK5 comes with Large 22L Capacity Bowl, 18/10 Surgical Grade satin finish & Factory Fitted Polyethylene Seal and Sink clips. Highest quality Stainless Steel provides a hygienic work surface for food preparation. A material that is easy to maintain and retains it's lustrous appearance. 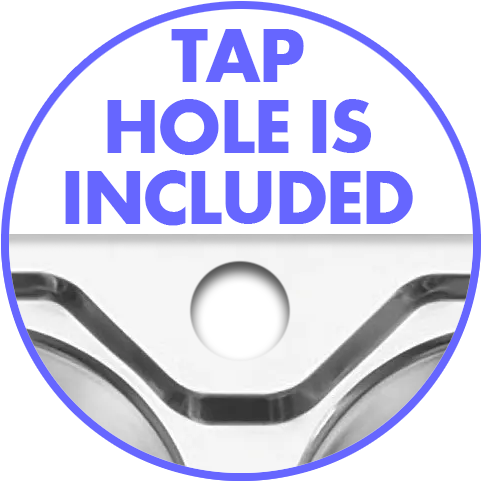 Maximum bowl capacity easily accommodates large baking trays, pots and utensils. Strong rigid work surface.Helps to prevent water escaping from the sink to your bench top.Strength and stability. Flat work Surface.No dirt or grime build up.No pooling of water during food preparation or draining dishes.